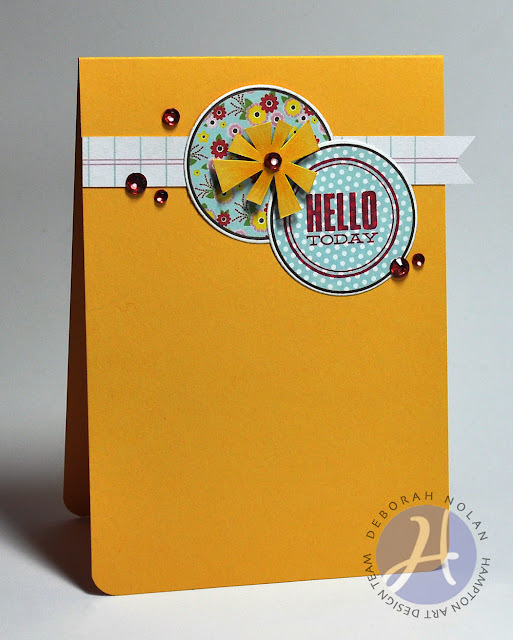 Today's card is simple and straightforward and features Jillibean Soup's Sew Sweet Sunshine Soup papers (say that five times fast)! Cut strip of notebook PP, cut notch from end, and adhere. Die cut two circles from PP, stamp sentiment on one, and adhere. Fussy cut flower from PP and adhere with foam dimensional tape.